Fraps is a popular program for tracking framerates and benchmarking, but for video capture there are better options available for free. Fraps is one of the most iconic third-party tools for PC gamers, building its reputation on the back of free and easy benchmarking capabilities that can measure the performance of almost any game. It’s also an easy way to display a frame rate counter in the corner of your screen to keep a casual eye on second-to-second in-game performance. Fraps can also capture video of your gaming sessions, but unlike the other tools mentioned in our gameplay capture software roundup, you have to pay for access to the program’s full video recording capabilities. Note: This review is part of our roundup of the best game capture software. Go there for details about competing products and how we tested them. At this writing, a lifetime license for Fraps cost $37. That’s a fair price for a piece of software that’s useful and very easy to use. The problem? You can find several free game capture tools, so paying a premium is a pretty hard sell. The only reason to pay for Fraps, really, is because you like the program and want to support its continuing development. The Fraps General tab houses some basic settings for the program. When you first open up Fraps you see there isn’t much to the program. It’s a small window with four tabs: General, FPS, Movies, and Screenshots. Each one is pretty self-explanatory. Under General you can set Fraps to start-up at launch, or disable its “always on top” status that is enabled by default. One other option that’s nice is General > Minimize to system tray only. Many recording and benchmarking programs minimize to the system tray when you hit the “X” in the upper right corner. Fraps, however, takes the old school approach and actually exits the program when you close the window. 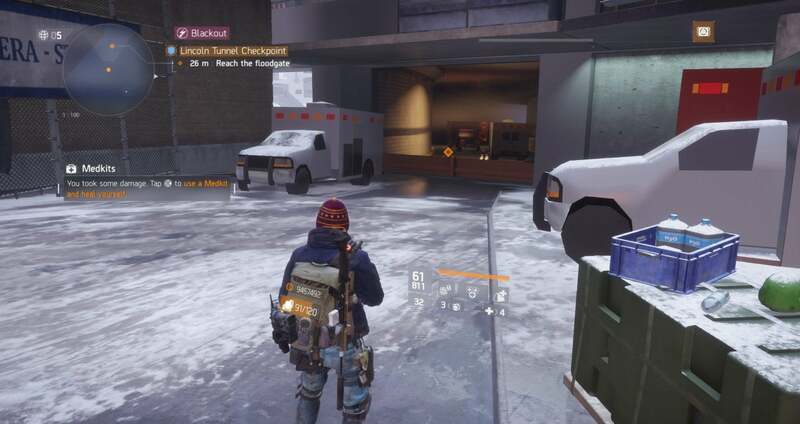 So to keep it running while in-game, you have to minimize the window. This setting lets you keep Fraps running without having to see it in the taskbar. To open Fraps from the system tray, right-click the icon and select Settings. The FPS tab holds Fraps’ benchmarking tools. The framerate counter always appears in-game when Fraps is running. If you’d like to record a benchmark while in-game, simply hit F11, but first, tweak the benchmarking settings to your liking under FPS > Benchmark Settings. Moving on to the main focus of this review, the Movies tab is where Fraps records your gameplay. If you use the free version, some options are available to you and some aren’t. The loop buffer length, a setting that lets you hit the hotkey to record the last “X” seconds of gameplay, is disabled. You can, however, set the maximum frame rate during recording, and decide whether you want a full- or half-size recording. You can also adjust the sound capture settings, record your microphone, hide or not hide the mouse cursor, lock the framerate while recording, and use lossless RGB capture. 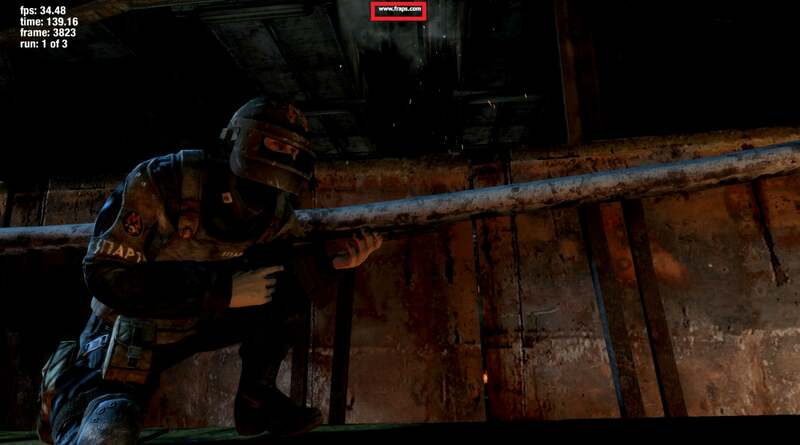 Fraps free puts a watermark on video captures as seen here (highlighted in red). When capturing video with the free version of Fraps, your clips are limited to 30 seconds, and they’ll have a Fraps watermark on them, as seen above. Videos are saved at 30fps by default, but you can change that to 60fps or 50fps presets, or set a custom limit. To start recording, click F9 while in-game and then hit the same button to turn it off—free users could also just let the 30 second time limit run out. By default, videos are saved to C:\Fraps\Movies. For a program that has very little going on at the surface, Fraps sure seems to take a lot of system resources during gameplay. We weren’t able to get a test license for Fraps so we hit F9 every thirty seconds to keep recording during testing. Using the Metro: Last Light benchmark on our budget testing rig, the framerate absolutely plummeted, going from 58.67 without Fraps recording to a worse-than-consoles level of performance at 28fps. At first, I thought Fraps was maybe capping the framerate of the game, but even upping the framerate to a custom 120fps for video capture didn’t change anything. Check out those borderline 32-bit cars. Fraps fared a little better in The Division based on our tests but not much better. Without Fraps running, the test rig scored an average of 55.7 fps, and that dropped down to 41 fps with Fraps recording. 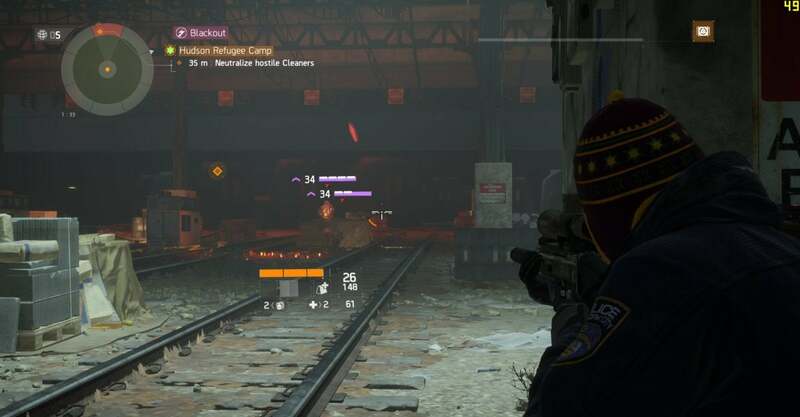 I wouldn’t call Metro a graphically demanding game any more, but The Division is far more forgiving with graphics for underpowered graphics cards as the photo above here attests, which may be why the game remained playable. The bottom line, however, is that Fraps took a serious chunk of performance during our tests. 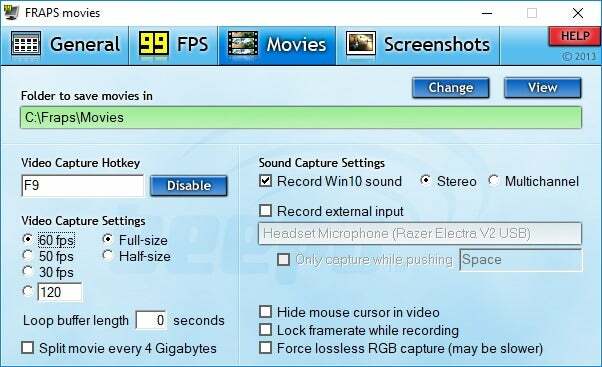 If you’re already using Fraps for benchmarking or just keeping an eye on framerates, then it may make sense to use the program for infrequent 30-second recording clips. If you are going to make recording an integral part of your gaming sessions, however, then you’d be better off going with Plays, GeForce Experience, or AMD’s ReLive. These programs are free and far more full-featured than either Fraps free or the paid version. Fraps is great for benchmarking and seeing your current framerate, and it's also very easy to use with a minimal interface. As a video capture utility it leaves a lot to be desired. It costs $37 to get the complete set of video capture tools, while other tools with similar features are free.